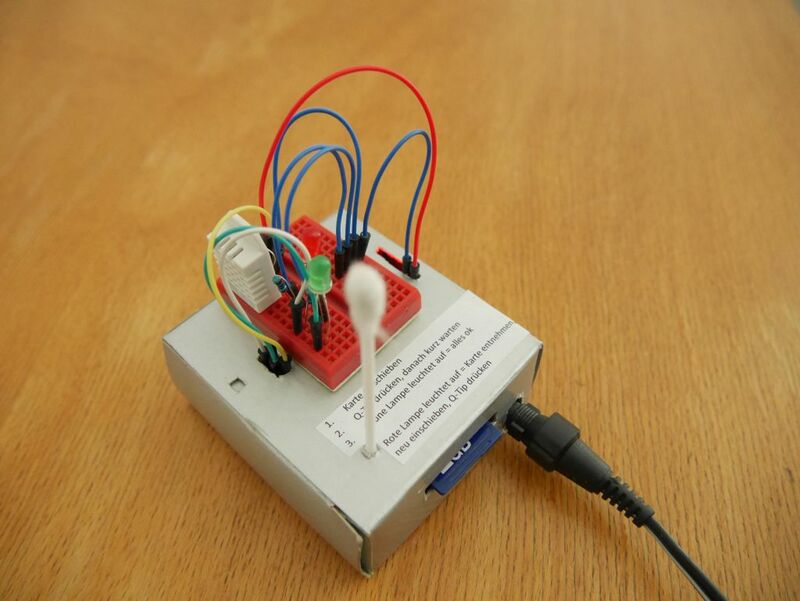 Now, an arduino uno can do much more than just reading sensor data like we want to do, but it’s rather easy to make projects real without having to solder anything, it comes with a quite easy to understand coding language and there is a broad international community experimenting with it, so you probably find answers to your questions at the official arduino forum https://forum.arduino.cc/ or somewhere else on the web. 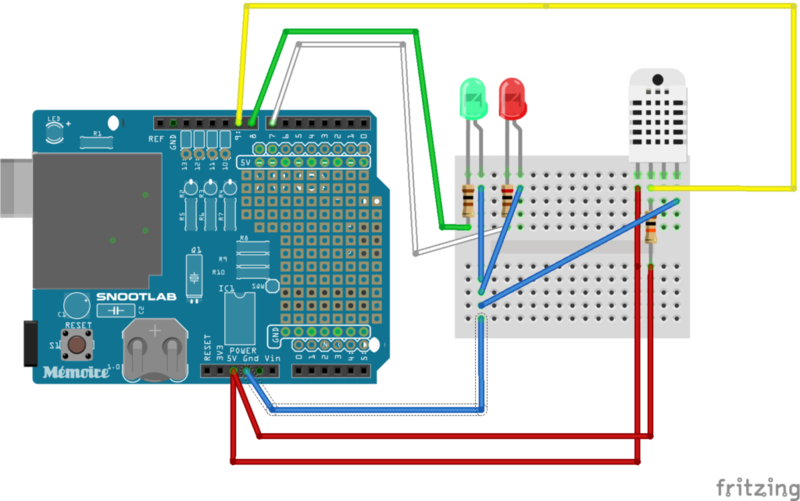 To work with an arduino you will connect the sensor and other devices you need to the ports of the arduino. You got digital ports (0 to 13), analog ports (A0 to A5) and some ports for connecting to power (marked 3.3 V, 5 V and GND). We take a close look on what we connect how later on. First, we need another useful device, a data logger shield. So, what is a shield you ask? Well, as your arduino comes out of the box, it is a generalist. It can do anything, from showing the bike speed to logging your climate data. You connect it to all the parts you need for your specific project. Depending on the project, this can be a lot of wires, resistors, capacitors, switches… So, for some specific tasks you need for certain projects some fine people have developed boards that have everything you need on them and which you can connect to the arduino by simply “clicking” it on. 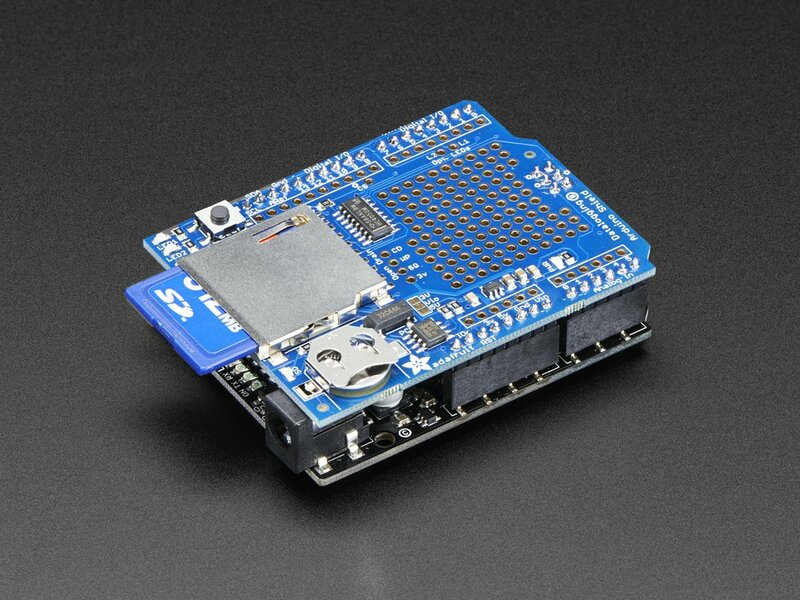 So, the shield sits on the arduino like a backpack, is ready to perform certain tasks and you still have a reasonable amount of ports for your specific task, although some ports are now used for the connection. A data logger shield has two very useful devices: a SD card reader to log your data for further use and a real time clock (RTC). We need a real time clock because an arduino is incredibly dumb. When we tell it what time it is, it just remembers it as long as it got power. When we disconnect it from the power source it immediately assumes that it’s 0 o’ clock. The RTC has a small battery on board that safeguards the arduino remembers the time even when disconnected. The data pin of the sensor is connected to digital port 9, the green LED over a 100 Ohm resistor to digital port 8, the red LED over a 200 Ohm resistor to digital port 7. The “buckled (short) legs” of the LEDs, which are the minus pole, and the ground pin of the DHT22 are connected to the GND port. The power pin of the DHT22 and the data pin over a 10 K Ohm resistor are connected to the 5 V power port. Finally, we need something that allows us to push the reset button in case we want to restart the arduino. In our case we used a q-tip with a broad plastic peg on one end. Next up, we will take a look at the coding for our logger. Great project for beginner like me. The presentation and explanations are very good. However i can’t find any reference to how to initially set the RTC to the correct time. Advice here would be helpful. hi. sorry for asking. i’m a final year student and do the project related to this datalogger with BPW34 photodiode to detect the irradiance of solar and record it. but there are problem with the connection and the coding. can i ask your opinion about it?